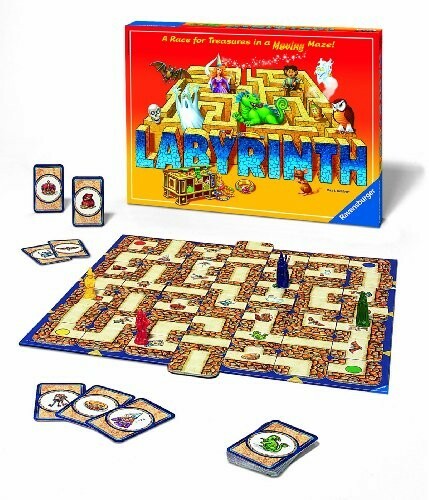 The aMAZEing Labyrinth uses a clever board design to create a series of ever-changing mazes that one to four players must move through. The object of the game is for each player to collect all seven treasures depicted on their individual treasure cards as quickly as possible. To add to the challenge, players know what the next treasure is only after they find the one before it. Before each turn, a maze card is pushed into the maze in a strategic place, helping the player make his or her way to the prize. This means that the entire maze shifts and changes on each turn, confounding some and helping others. Players will need to think ahead to choose just the right spot to shift the maze in their favor. The rules also include a simpler version that can be played by younger children. 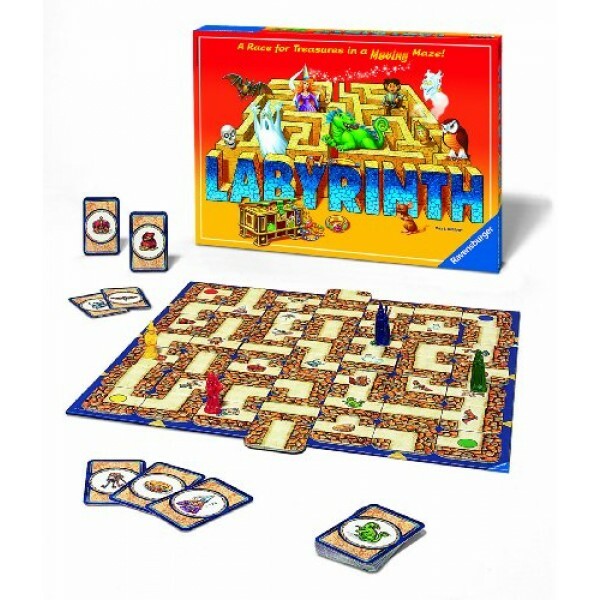 Game contains the playing board, 34 maze cards, 24 treasure cards and 4 playing pieces.